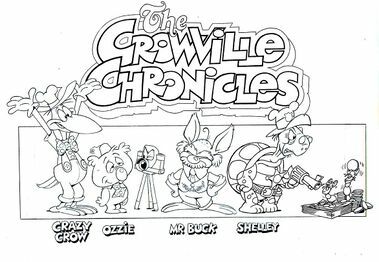 The Crowville Chronicles was an unsold animated pilot that was pitched to Nickelodeon. 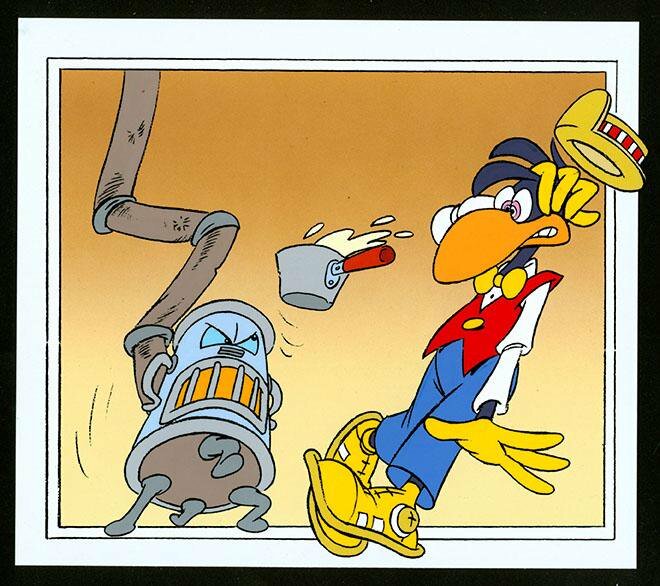 The Crowville Chronicles was produced by British studio Cosgrove Hall Productions, who also produced one of the other proposed Nicktoon pilots, Trash. The story focused on newspaper reporter Clarence T. Crow and his photographer, a koala named Ozzie. The newspaper editor, a curmudgeonly rabbit, sends them to find a front-page story and tells them they only have ten minutes to do it. Crow runs around the office, slapstick ensuing, looking for something to use when he finds a photograph of a rhinoceros. He makes Ozzie take a photo of him in front of the picture so he can forge a story about himself performing a jungle rescue. When he poses for the snapshot, they suddenly find themselves inside the photo and the rhinoceros starts chasing them. They eventually jump out of the picture and present the story to the editor. He doesn't believe them, and after he walks away, the rhinoceros runs through the room. The test audiences didn't like the show very much. They found it generic and uninteresting. The characters in the two Cosgrove Hall pilots were too formulaic, and the creators seemed to lack the necessary passion to make interesting characters, having been producing successful series for years already. These same criticisms were also directed at Trash. The Crowville Chronicles pilot was never shown to anyone outside those involved in its production and the test audiences, nor has it been shared by its creators since, save for a presentation given by Linda Simensky in 1995 at the Society for Animation Studies Conference in Greensboro, North Carolina, where she showed the five failed Nicktoon pilots, as well as four others, to an audience of animation professors and historians.